SOBHA continues to strengthen its brand leadership in the Indian real estate sector. The company has yet again been recognised as the Top National Realty Brand across Asset class in India by the Track2Realty BrandXReport 2017-18. This is the 4th consecutive year when SOBHA has been conferred with brand leadership of Indian real estate. SOBHA has been the first company to achieve this rare feat in this space. SOBHA’s brand leadership is most credible as it has not only been voted thus, through a set of stringent selection processes, but also due to large number of consumers having voted for the brand as being most trustworthy. In addition, the Indian consumers as well as the NRIs from all across the world have voted SOBHA as their top choice. The comprehensive Brand Perception Audit Report has recognised SOBHA as the top national realty brand, top brand in South India, top brand in residential space and top brand in super luxury segment. The consumers across the country (20 city survey with a sample size of 10,000) have also voted SOBHA as their top pick. The NRIs spread across the globe too have voted SOBHA as their top of the mind recall. In addition to this, the company has been recognised as the best player for its sterling CSR practices in the country. As a matter of fact, the brand score of SOBHA is highest this time with its overall national brand score of 80.9 out of 100. 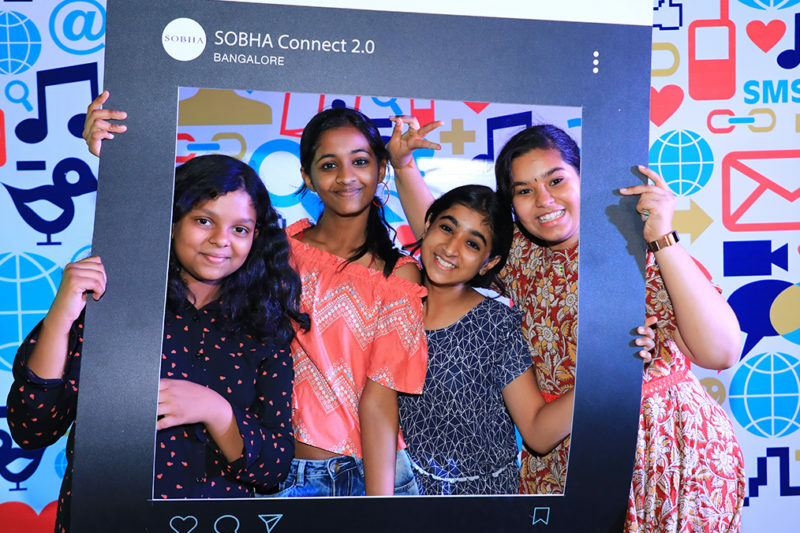 On each brand metric of 0-10 scale, SOBHA could earn 7.8 for financial performance; 8.0 for investors’ confidence; 8.4 for execution capability; 8.5 for public perception; 8.0 for users’ experience; 8.0 for consumer connect; 8.2 for aspiration value; 8.0 for recall value; 8.2 for media perception; and 7.8 for employment worthiness. 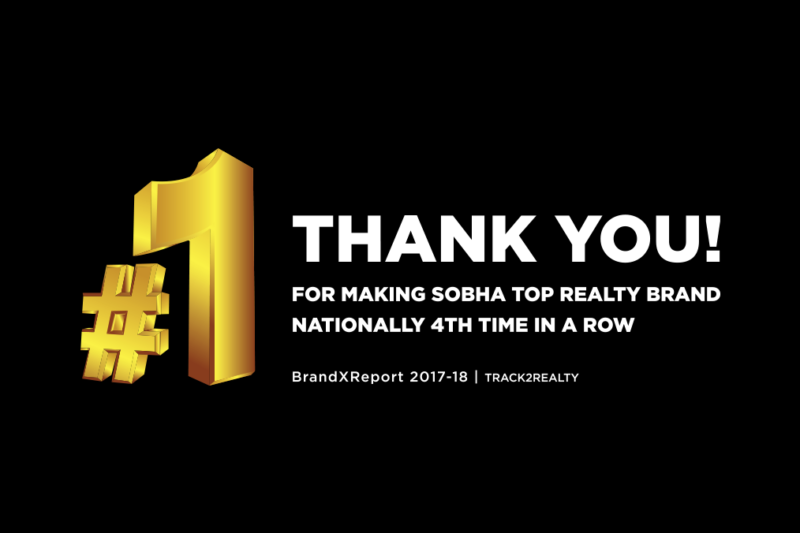 The in-depth public perception survey done by Track2Realty has elevated the SOBHA brand even higher with consumer vote and score reaching to its best ever 85 out of 100 this year. The Consumer Confidence Index was assessed across key parameters such as financial stability – 8.2; execution capability – 8.8; timely delivery – 8.7; aspiration value – 8.5; users’ experience – 8.8; appreciation potential – 8.5; transparent deals – 8.2; recall value – 8.6; media perception – 8.0; and consumer connect – 8.7. Track2Realty BrandXReport uses stringent methodology to collect data and analyse it. A large sample size of 10,000 consumers were targeted across several cities in the country with a set of 28 open-ended and close-ended questions. 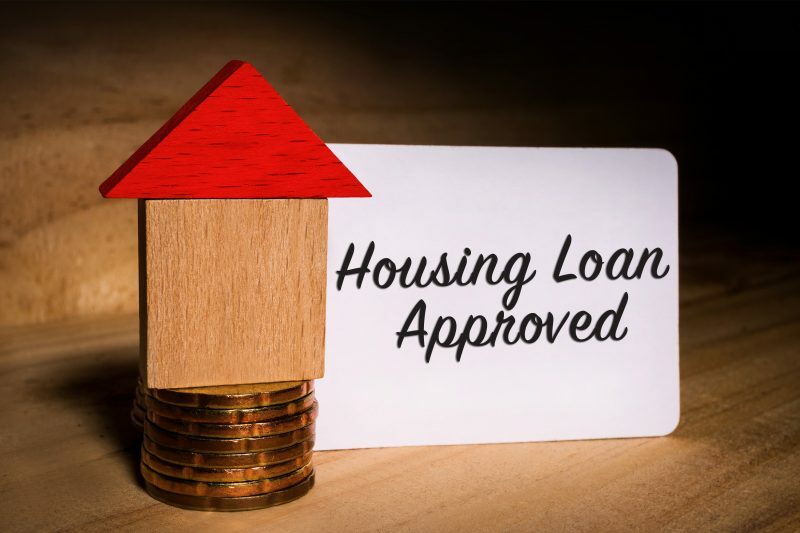 The responses were grouped under 7 key areas: understanding about policy changes; impact of policy changes; home buying experiences in the recent times; property price index; builder-buyer conflicts; conflict resolution; and future outlook of the market. Developers with better brand recall value and goodwill outside their geographical markets gained highest weightage in evaluation. 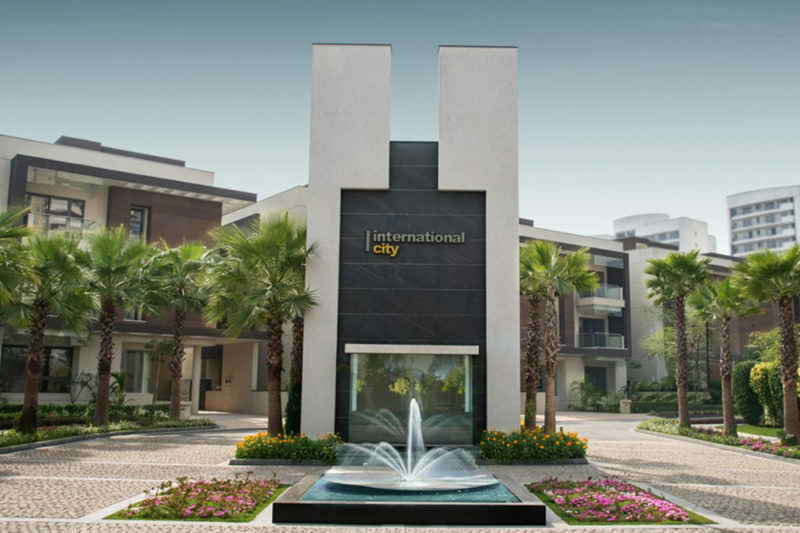 The report also conducted its second global survey amongst the NRIs to understand their investment choices and their trust in the Indian real estate sector. SOBHA has been voted as the Best Developer amongst NRIs on trustworthiness and top of the mind recall value for second consecutive year. The survey used a four-pronged methodology to determine their awareness of recent policy changes in India and their approval/disapproval of the reforms process; their outlook on the impact in property market; trust level with real estate after policy changes; and willingness to invest in Indian property. The survey covered NRIs encompassing US, UK, Middle East, South Africa, Canada, Australia, New Zealand, Malaysia, Singapore and Mauritius. Additionally, SOBHA has achieved the number 1 position in the Brand Disruption category for its CSR activities for second year in a row with a score of 80 out of 100. The company was measured on the parameters of relevant cause – 8.5; skill-based volunteerism – 8.0; long-term investment – 8.0; management involvement – 8.2; compliance & transparency – 7.9; disclosure standards – 7.6; alliance partners – 7.8; brand linkage – 7.2; beneficiary perspective – 8.4; and value creation – 8.4. SOBHA’s CSR initiatives spans across education, healthcare, old age care, vocational training and women empowerment. Further, in the luxury segment, SOBHA continues to be the Brand Leader for the 3rd consecutive year. The company has improved its score consolidating its brand leadership in the segment. The report also highlighted the Media Visibility of the Top 10 Brands where SOBHA stands out as the only brand with more than half of its coverage with positive tonality (52%) and least news with negative tonality (10%). The findings of Track2Realty BrandXReport 2017-18 are a part of the yearly brand perception audit. This is the sixth time that BrandXReport has been brought out by Track2Realty – an independent real estate think-tank. 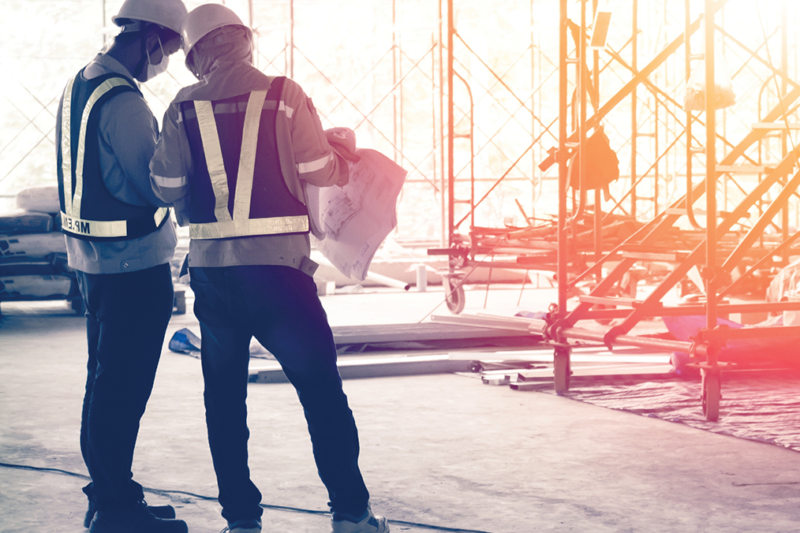 The report finds that the Indian real estate companies that are resilient brands with professionalism have continued to shine despite regulatory challenges and new set of compliances.